This weekend is Ubuntu User Days, where volunteers from the Ubuntu Classroom will be teaching classes on all sorts of topics on Internet Relay Chat. Depending on your skills and talents, one or both of these events may be right for you. If you’re neither a programmer nor teacher, but you’re not exactly new to FOSS, I’ve got another idea for you to contribute to (keep reading! ), but that’s not really what I’m jawing at you about today. Watched (video link; Shuttleworth starts at 22:00) Mark Shuttleworth’s Tuesday keynote at the virtual Ubuntu Developer Summit. It was an average talk, focused on the plans for Ubuntu 14.04, Trusty Tahr, the next long term support (LTS) release. The interesting part came when he took questions from the IRC attendees. In my Tuesday post, I mentioned how his hackles were raised by one questioner. The question was on Canonical‘s commitment to pushing more code it develops into the Debian distribution it uses as its code base. He noted that the Debian community is debating what to use for an init system, While they have the right to choose anything they like, he said choosing Ubuntu’s new Upstart system would make it a lot easier for Ubuntu to integrate its code with the upstream branch. A focus for 14.04 development will be making Touch more stable and reliable on the tablet. Devs are asked to expand into the tablet form factor with this release. Canonical will not build its own tablet, based on the Edge project or any other design. Testing will continue to focus on the Google Nexus devices, and other ports will be available. An interesting set of household names — brands – have been looking at Ubuntu Touch. … You’ll be able to buy (Touch) pre-installed. I hope he’s right about that, and can announce something more concrete soon. Happy to report that I’m typing this little missive from my freshly updated Firefox web browser on openSUSE Linux 13.1. While I do that, the YaST Software Management module is busily adding an array of new software from community repositories located all over the globe. As I’ve noted 1000 times before (most recently in this post), YaST stands for Yet another Setup Tool, and remains the most wonderful thing about openSUSE. Community Manager Jos Poortvliet runs down the main features of the new release. While most of the excitement may have surrounded the new openSUSE release, Ubuntu developers gathered around their computers for the November Ubuntu Developers Summit (UDS). I missed most of Mark Shuttleworth’s opening keynote, but hope to catch up with it later. It appears that he took some probing questions from attendees (when I came in to the feed, Shuttleworth was “denying the premise behind your question;” but I don’t know what the question was.) You can see the video (link above) at the UDS site. I also lurked at the Documentation team round-table, where some planning got done. I will likely have more to report on this in the coming days. The Summit goes through Thursday. Got questions about openSUSE, or Ubuntu Touch? Always happy to answer them here. Have you attended a developers conference (or hear Shuttleworth ranting)? Feel free to share your experiences! 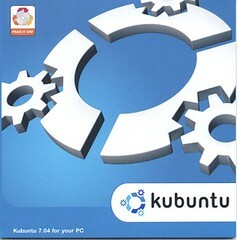 As has been reported at numerous outlets, the project currently known as Kubuntu has a new sponsor, a German company called Blue Systems. It was just a couple months ago that Canonical announced it was withdrawing direct support to Kubuntu, and reassigning Jonathan Riddell to other projects. The good news is that Blue Systems has been sponsoring a variety of KDE projects and distributions in the last few months. They’ve pledged to keep Jonathan Riddell on its payroll working on Kubuntu (or whatever it may be called in the future), and is offering marketing support too. But it’s hard to know from this distance how much money they actually have to back those pledges up. A WhoIs search on the Blue-Systems.com site pointed to a German reseller, http://itwu.de/, as the owner. That’s pretty much all outsiders know. In some ways, the news is not that different from when Attachmate surfaced last year as the company to buy the SUSE brands from Novell. People rightly questioned what the company had planned for the distribution. So far, it appears that Attachmate has largely left the community alone to make its own plans. Plus openSUSE enthusiasts in the Americas now have their own conference to attend this fall. So I think we can say that up to now, that deal has worked out pretty well. As I said before, best wishes to Riddell and the Kubuntu community. I’m confident this is good news for my favorite desktop environment, and Linux overall. If you know anything more about Blue Systems and their work with the community, please let me know. Whatever you think about Kubuntu, KDE and its future, feel free to comment too! Kubuntu and the “Sinking Ship” of KDE: Really? You may have heard that Canonical is formally dropping support of the KDE-based version of the Ubuntu desktop come October. This is kinda old news now, but it seems that at least some folks want to make a big deal of it. So I’m feeling the need to talk about it too. Today I bring the disappointing news that Canonical will no longer be funding my work on Kubuntu after 12.04. 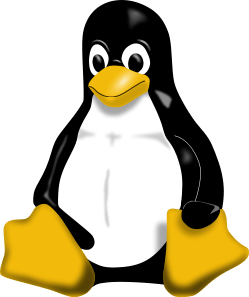 Canonical wants to treat Kubuntu in the same way as the other community flavors such as Edubuntu, Lubuntu, and Xubuntu, and support the projects with infrastructure. This is a big challenge to Kubuntu of course and KDE as well. A few days later, Riddell’s counterpart at openSUSE, Will Stephenson responded to the situation on the KDE Contributor’s Blog in a way that may seem a little cynical, but struck me as a completely valid response. try to find a major Linux distribution that ships with KDE as the default desktop. You’re going to be hard pressed to do so. He said the best way for KDE to survive this blow was to develop its own distribution, which he named KOS. In the poll accompanying the story, 51% of his readers agreed with that strategy. Younger folks in the audience may not remember Rodney Dangerfield, the comic who built his entire career on the theme that he “got no respect at all” (Check out the films Caddyshack or Back to School to learn more about the Dangerfield persona). One of the most striking things about all these stories is how Kubuntu is (allegedly) the last major Linux distribution with a KDE desktop. Perhaps I’m biased, but when did openSUSE cease being a major distribution? While it has never been dominant in terms of mindshare or installations (admittedly both hard to quantify), the little green Geeko with the outstanding system administration tool just chugs along. Novell bought the original German company that produced the distribution around the same time that they bought one of the main development teams for the GNOME desktop. When openSUSE planned to make GNOME the default desktop on installation, a massive uproar from the user base left the desktop choice to the person doing the installation. openSUSE was the first distribution to switch to KDE 4. That was certainly a bad idea or miscalculation, but certainly a commitment to the KDE desktop. openSUSE is not going away, and will continue to be a “KDE-first” distribution for a long time to come. I’m looking forward to seeing how big our community is at the openSUSE Summit this fall. I disagree that KDE needs to put out its own distro to succeed long-term. 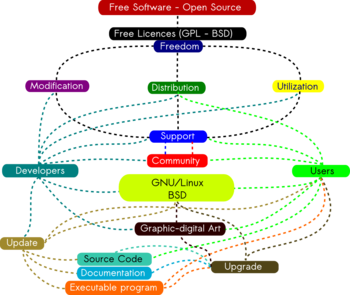 The world probably does not need many more Linux distributions. Linux users should always have a choice of desktop environments and associated applications. I love that I can run apps designed for GNOME on my KDE desktop, and want to continue to do that. KDE certainly needs to attract more developers, volunteer or otherwise. More users and platforms will follow. As I noted last week, the Spark tablet is a great way to build pathways to the future. Things may not be entirely rosy for KDE today, but I can heartily raise both hands when Wallen says “Linux without KDE is simply not the Linux I’ve known and loved since the mid-90s.” May that continue to be true.